The Sims 4’s modding community brought its A game in December with a whole bunch of new mods. Here are some of the best ones you can download. Thanks to the awesome community for all of the amazing expansions that breathe a new level of life into the game. If you’re trying to play a sims challenge that will have your families living on crazy budgets, it might be smart to download this mod. 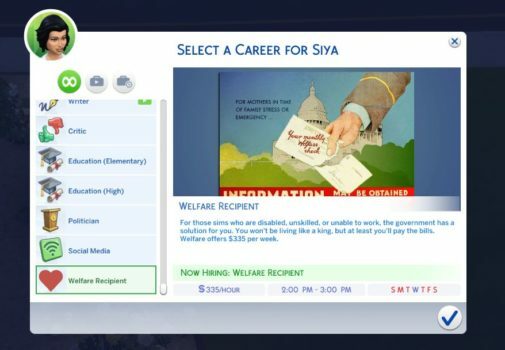 It makes it possible to have a “Welfare” career, which in turn will provide a small set amount of simoleons each week. Provided you show up to the hour long work day, of course.